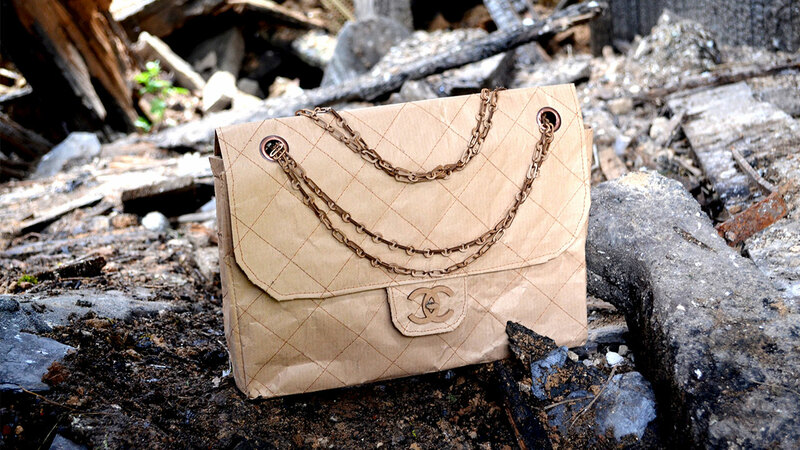 A project criticising high fashion industries for their unethical ways of producing their clothes. 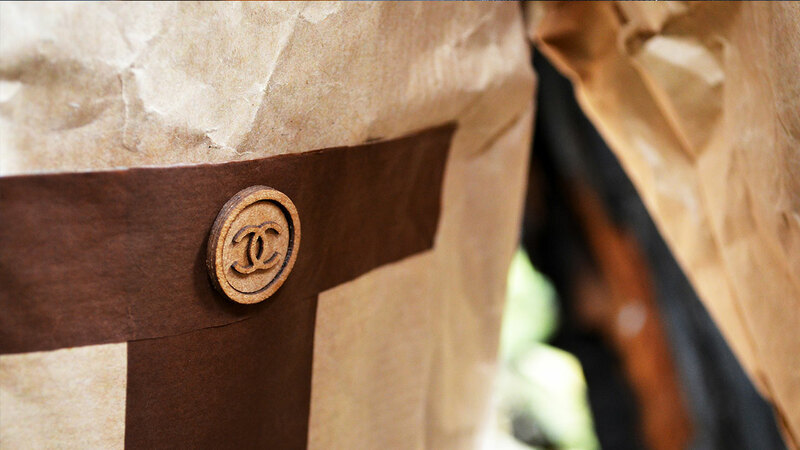 I decided to make a Coco Channel jacket and a bag out of brown paper. A really difficult but fun project! 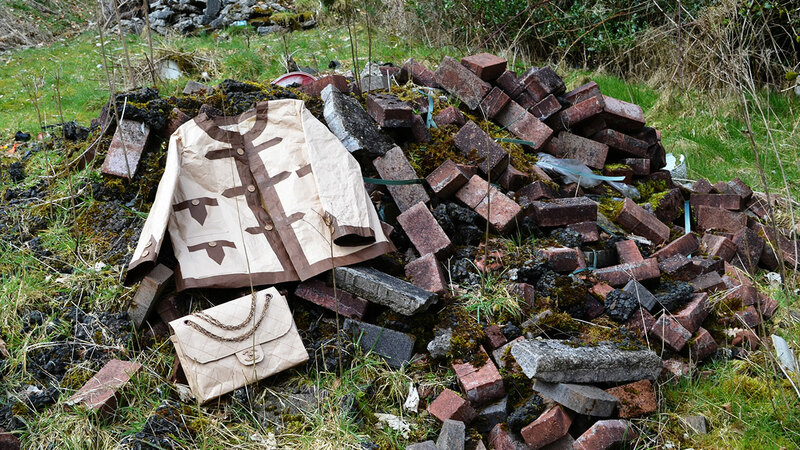 The jacket and the bag have entirely been made in brown paper and cardboard. 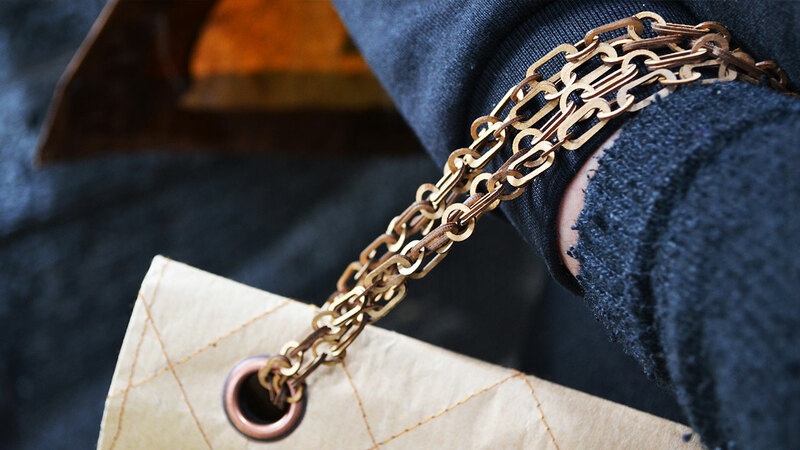 Every chainlinks have been made in Illustrator and laser cut. I have attached them all individually. The buttons have been made in Illustrator and laser cut. I have layered them up to give them more depths. The set up for this photoshoot was to create a devasted atmosphere in relation to the horrid work conditions of some of these companies' employees. 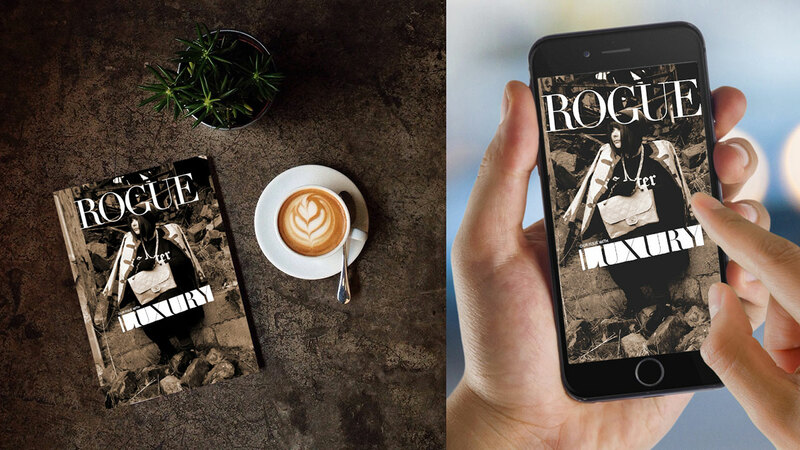 In the aim to re-enforce the idea, I created a zine that would talk about the problems that our society encounters towards the fashion industry. © 2018 Emma Méligne. All rights reserved.